What Has Happened To iPod Sales? Apple reported a record breaking quarter to end its 2010 fiscal quarter on. The iPhone sold huge numbers, the iPad is off to a huge start, Macs are picking up more speed, and even the Apple TV did decently, so what the heck has happened to the iPods, the only product line to show a decrease? During yesterday’s earnings call, Apple reported that the iPods sold 9.05 million units for the quarter, a decline of 11% from the same quarter last year. And sadly, the quarter before that the iPods sold 9.41 million units, representing an eight percent unit decline from the same quarter a year previous. Considering the last quarter included the introduction of this year’s updates, the total units sold being less than the previous is really disturbing. While selling nine million units a quarter is certainly nothing to sneeze out, you do have to wonder why this former king of the gadgets is dropping so rapidly as of late. I blame the iPhone and iPad. Apple CEO Steve Jobs has said repeatedly since it was introduced in 2007 that the iPhone is the best iPod they’ve ever built, so why should anyone need both devices? Case in my point, my best friend, who used to be a huge iPod junkie, received an iPhone 3G S last Christmas, and since that time her iPod has collected dust. She had no interest in what the new iPods offered this past Sept., and she now just uses her phone to play music in her car as well as when she’s walking around town. Why should she continue to have to carry two devices around like when she previously only had a feature phone? A total of 14.1 million iPhones were sold last quarter, a 91 percent increase over the year ago quarter, and a total of more than 40 million units were sold in all of the 2010 fiscal year. One has to assume that a goodly amount of former iPod customers have now been converted to iPhone users. And it isn’t just Apple phone owners, but pretty much all smartphones now play MP3s, so even if the customers haven’t stuck with the brand, they are doing the same thing as the iPhone owners and simply switching strictly to their phones. With the rate smartphones are growing, the stand-alone music player sales are going to continue to decline in all probability. The only question is at what point will sales fall to a point that no longer makes it worth Apple’s time to update the products? Somehow we doubt it’s going to be any time soon because nine million units is still a helthy number for just about any type of product. What say you? 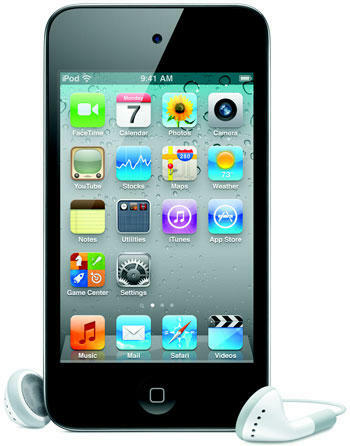 Have you given up on carrying an iPod or some other MP3 player yet?